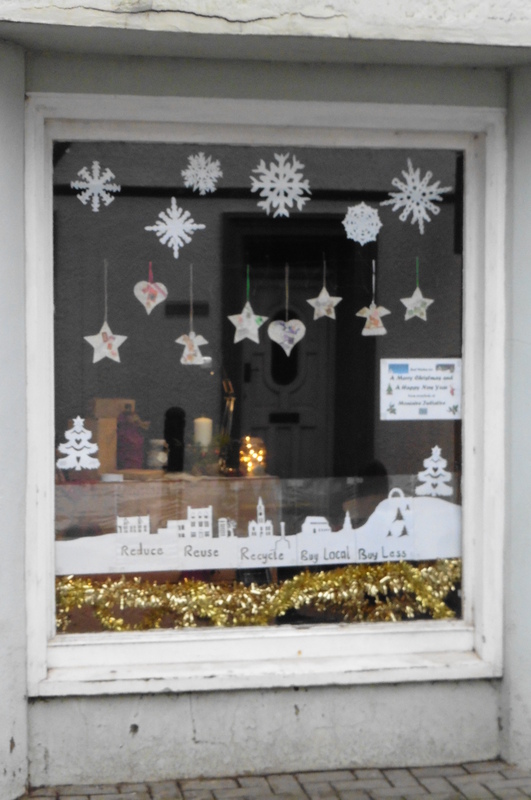 Have you seen our Christmas Window Display? We would like to say ‘Thank You’ to the owner of Ebruchie for kindly letting us continue to use the shop window in the High Street. 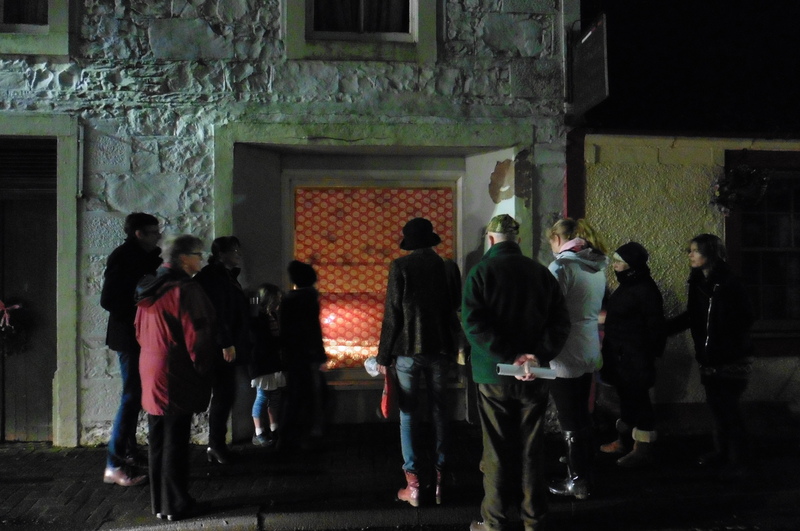 Our latest display, a “no-budget” Christmas Window, was unveiled as the first event of the Moniaive Living Advent Calendar on Monday 12th December 2016. 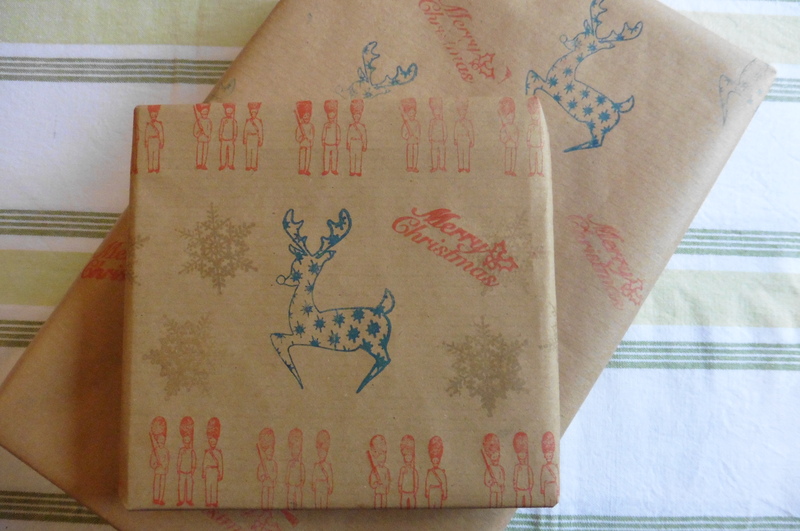 Based on the ‘Buyarchy of Needs’, everything in the display is borrowed, recycled, upcycled, eco-friendly and/or handmade. 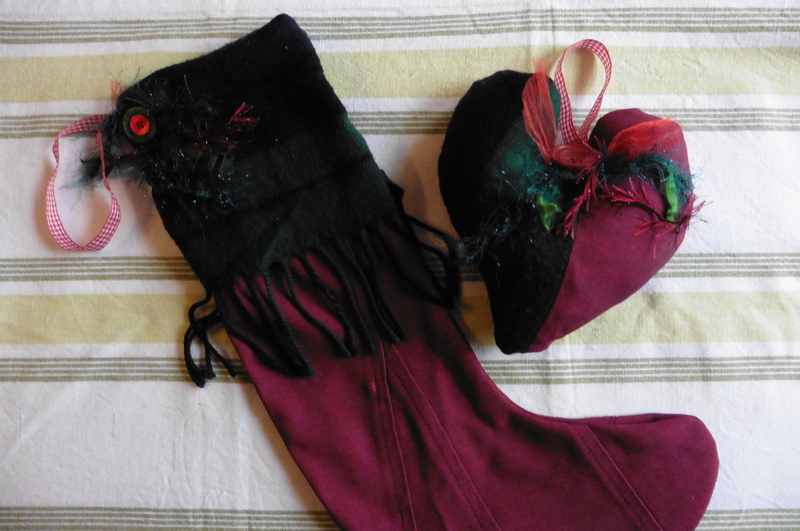 The bottle-cover, stocking and heart decoration were all made from a charity-shop blouse and scarf just a couple of days before they went in the display. 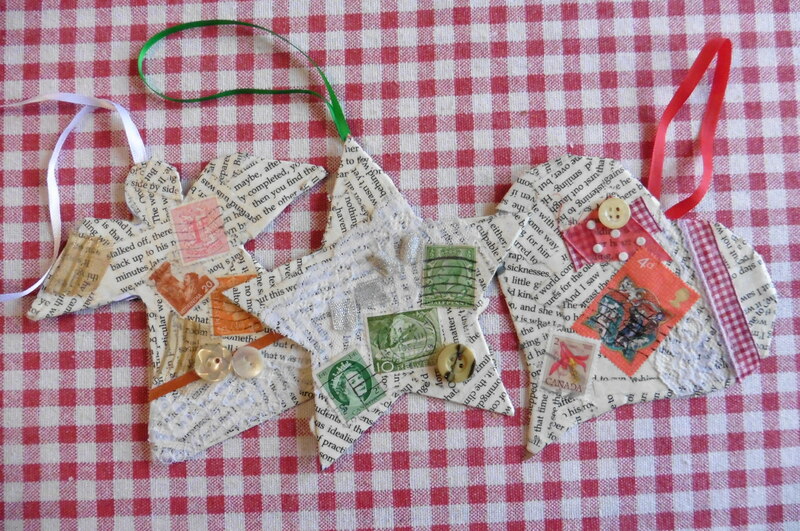 The hanging decorations were created from a collection of charity-shop ‘mixed media’ including book pages, stamps, lace and vintage buttons. 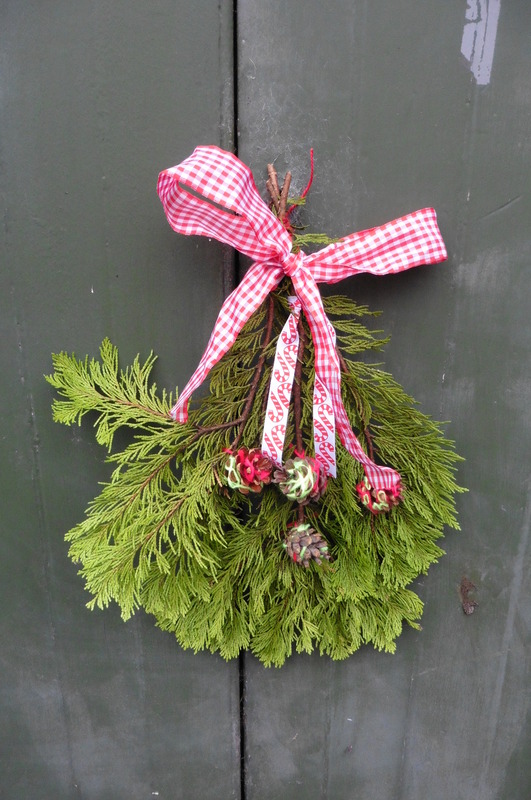 Even the hanging decorations on the doors are made with re-used ribbons and yarns (-thanks to Moniaive Playcare for the yarn-wrapped pine cones: they really add a splash of colour!) We hope you enjoy looking at our Christmas display as much as we enjoyed making it! 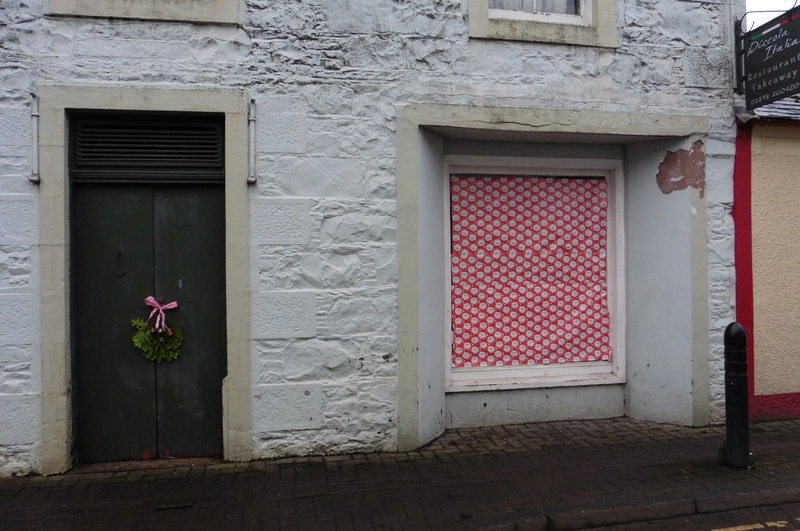 With very best wishes for a Happy Christmas from the Trustees and Staff of Moniaive Initiative!